BlaBlaCar is the world’s leading carpool service. The carpool service matches empty seats in vehicles to passengers headed to the same destination. BlaBlaCar was founded in 2006 by Fred Mazzella, Francis Nappez, and Nicolas Brusson. BlaBlaCar started on the European continent but quickly expanded around the world. BlaBlaCar has provided service to Brazil, Hungary, India, Turkey, Russia, Ukraine, Germany, Belgium, Luxembourg, Netherlands, Poland, Mexico, Slovakia, United Kingdom, Romania, Portugal, Croatia, Italy, France, and Spain. Throughout 22 countries, BlaBlaCar has approximately 60 million members. Every month, approximately 4 million people use the carpooling service. Without a doubt, BlaBlaCar has been a convenient method of transportation for many years. However, BlaBlaCar has been anything but convenient for some users. Unfortunately, BlaBlaCar drivers and users have been involved in car accidents. If you were involved in a car accident while you were a driver or passenger for BlaBlaCar, you might have grounds to file a claim and receive compensation. If you would like to learn more regarding your right to file an injury claim and receive compensation after being involved in a BlaBlaCar auto accident, you must contact the attorneys at Kenmore Law Group as soon as possible. Kenmore Law Group is a personal injury law firm dedicated to fighting for the rights of all injured victims. Our lawyers have many years of experience handling injury claims against rideshare and carpooling companies, such as BlaBlaCar. If you would like to learn more about your right to file a claim and receive compensation for your injuries, you must speak with the BlablaCar auto accident attorneys in Los Angeles at Kenmore Law Group as soon as possible. If you were involved in a BlaBlaCar accident, you could have suffered some of the injuries listed above. Regardless of the injuries that you sustained, you were likely left with unexpected medical bills. To file a claim for the injuries that you suffered during the BlaBlaCar auto accident, you must seek legal assistance as soon as possible. If you are interested in discussing your claim with a BlablaCar accident lawyer, you must contact our law firm as soon as possible. BlaBlaCar offers its drivers a free insurance coverage that must be used in addition to the driver’s personal auto insurance policy. According to BlaBlaCar, the driver of the vehicle is responsible for the harm suffered by passengers in case of an accident. However, since the carpooling company provides insurance on top of the driver’s insurance policy, BlaBlaCar’s insurance might also apply in case of an accident. If you would like to learn more about your right to file a lawsuit and receive compensation for the injuries that you suffered, you must speak with a BlaBlaCar accident attorney immediately. All car accident claims are based on liability. To establish liability for a car accident, you and your attorney must first prove that the driver that caused the accident was being negligent. Negligence consists of four elements, which are comprised of a duty of care, a breach of duty, cause, and harm. All drivers have a duty of care towards all other parties on the road, including their passengers and all other parties in other vehicles. The duty of care consists of driving with reasonable care to prevent accidents that could cause injuries. Drivers could breach their duty of care when they drive recklessly and put others in danger. Their reckless and careless actions could cause accidents which could, in turn, lead to victims being harmed. If your injuries were caused by the reckless actions of a driver, the driver could be liable of the accident and your injuries. If so, you have the right to file a claim. To learn more about your right to sue BlaBlaCar and sue the driver for the injuries that you suffered in a car accident, you must seek legal assistance at an accident law firm for BlablaCar car accident cases. Do not hesitate to contact our law firm. As you could see, there are many categories of compensation available for recovery. What type of compensation could you receive if you file a claim against BlaBlaCar after an accident? How much could you recover? To learn more about the specific type and amount of compensation that is available for your claim, you must meet with a lawyer to sue BlaBlaCar for an accident. At Kenmore Law Group, our experienced attorneys are dedicated to helping you recover the compensation that you deserve. Our lawyers will not rest until you receive the maximum amount of compensation available for your injury claim against BlaBlaCar. Whether our attorneys have to negotiate with an insurance company or take your claim to court, you could trust that our BlaBlaCar lawyers will always fight for your right to be compensated. For more information about the type and amount of compensation that you could receive, you must contact our firm today. If you were injured in a BlaBlaCar auto accident, you must contact our law firm as soon as possible. Our law firm has many years of experience helping victims of auto accidents recover the compensation to which they are entitled. If you would like to discuss your BlaBlaCar accident claim with our knowledgeable attorneys, you must contact our firm today and request to speak with our lawyers. Our lawyers will be available to you for free consultations and free second opinions. During our free consultations and free second opinions, our experienced attorneys will be available to answer all your questions and address all your concerns. If your claim has been previously affected by the incompetence of another attorney, you could trust that our lawyers could clarify your doubts and confusion while redirecting your claim towards a successful outcome. If you would like to benefit from our free consultations and free second opinions, you must contact our law firm as soon as possible and request to schedule an appointment at your earliest convenience. 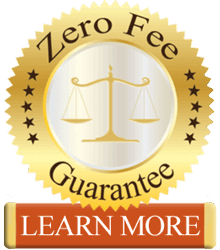 Our free consultations and free second opinions are available as part of a Zero-Fee guarantee. What does our Zero-Fee guarantee represent for you and your BlaBlaCar claim? Our Zero-Fee guarantee ensures that our clients, the unfortunate victims of BlaBlaCar accidents, have access to our legal services without having to pay upfront legal fees. Our firm is also strictly based on a contingency fee structure. You will only be charged legal fees after our attorneys win your claim. If you do not win, you will not pay. If you are ready to file a BlaBlaCar injury claim, do not hesitate to contact the experienced attorneys at Kenmore Law Group.